We are roasters of specialty coffee, sourcing coffee from around the world. Specialty coffee is the top 20% of the crop and typically grown on average farm size of 6-12 acres. Buying specialty coffee helps small farmers and villages. We offer USDA Certified Organic coffee along with Fair Trade®, Rainforesrt Alliance® and Swiss Water process® decaf. 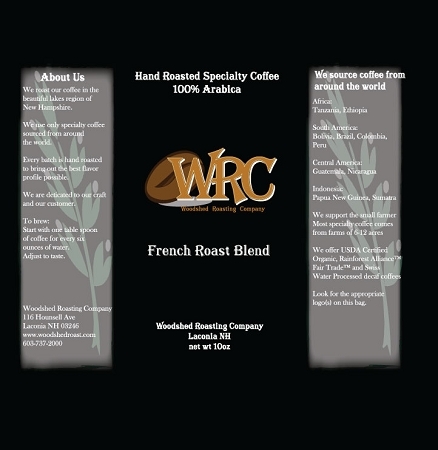 Virtually all our coffees is roasted to order. Each batch is hand roasted in one of our three roasters. When you place an order we have to roast, pack and ship your order. Please be patient it may take a couple of days to get your order out. Our French Roast Blend is a classic dark roast. Not over roasted but still gives you the deep roasting flavor of a classic French Roast. New Customers free shipping on first order.